Princeton Council, led by Mayor Liz Lempert has written to local Congressman Rush Holt to express concern over USPS plans to sell the historic Princeton Post Office in Palmer Square, pictured above. 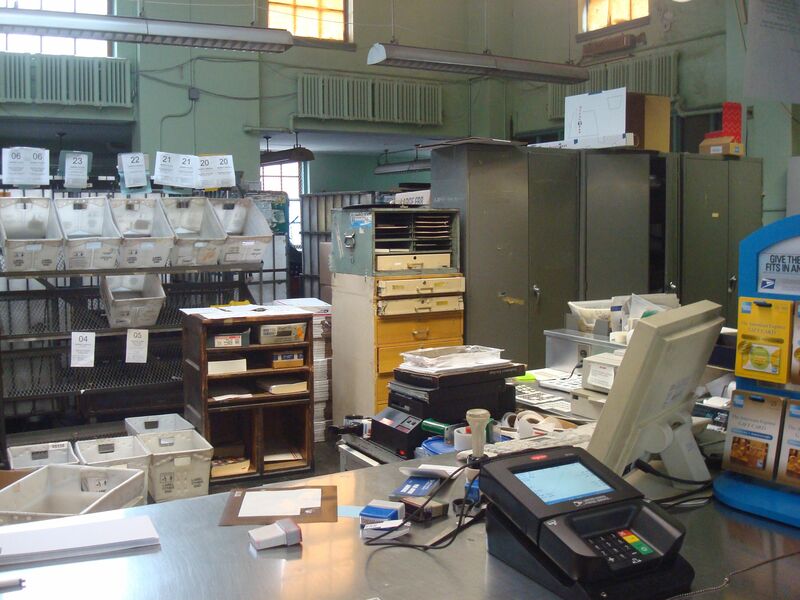 USPS, faced with declining revenues, is aiming to downsize to a smaller office. Any potential buyer would also notice that there is a load of space behind the counter, which includes various sorting boxes and postal paraphernalia. Most mail for the former township now passes through the USPS facility in West Windsor. 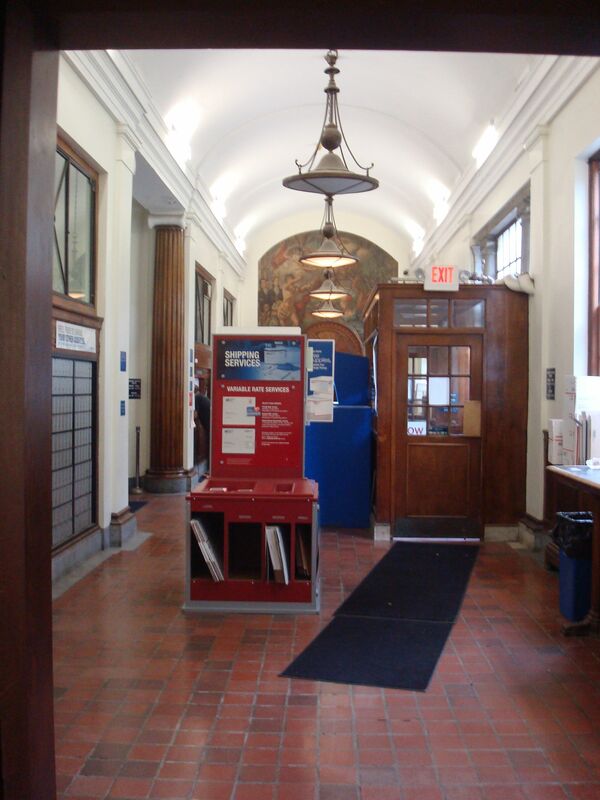 Do you think the Princeton Post Office could find a new, different use if USPS sold up? 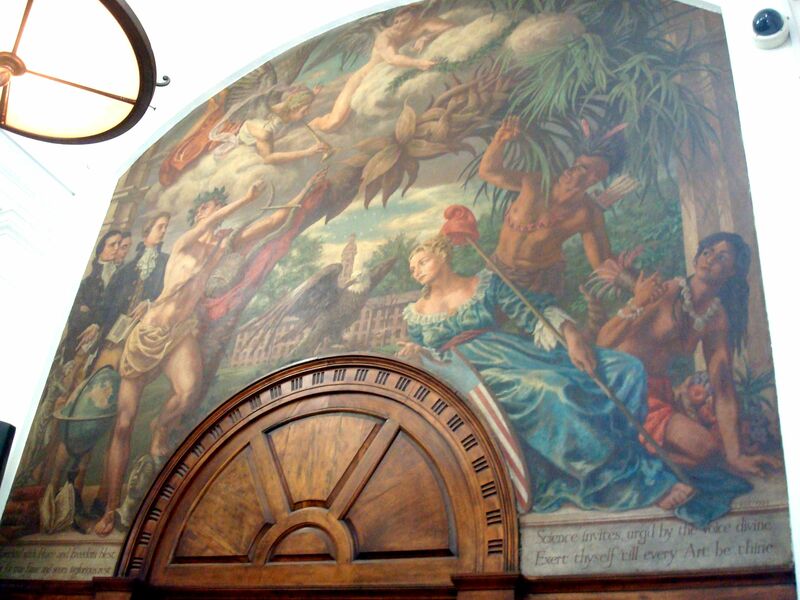 How would you feel if a renovation removed the interior features- potentially including the mural? Have your say in using the comment box below! 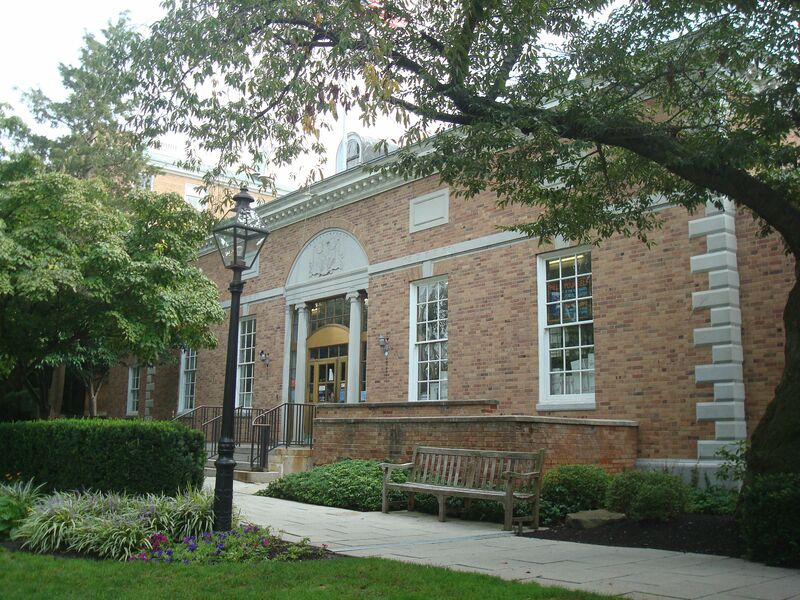 This entry was posted in Beautiful Walkable Princeton, Princeton and tagged Nassau Hall, Palmer Square, Princeton, Rush D. Holt, United States Postal Service, USPS, West Windsor Township New Jersey. Bookmark the permalink. I’d like to preserve the building and ensure it remains a place for the community. What has happened since this article was published? Michael, since this article was published, USPS confirmed that the building is for sale. Apparently there are several parties who are interested in buying it, but their identities have not been disclosed at this point. Palmer Square management are likely to be one of the interested parties. And is there a community effort presenting an alternative?